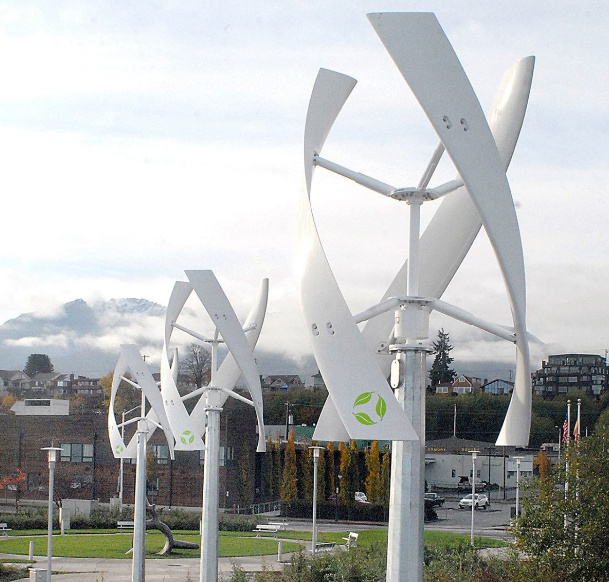 A small Washington state city spent more than $100,000 on three “windmill-like turbines” – but any hopes for big savings appear to be blowing in the wind. The Peninsula Daily News reported that the Port Angeles turbines, which haven’t yet been turned on, are expected to generate $1.39 per day in electricity, or roughly $42 per month. The turbines were meant to help illuminate a local park. Now, some city council members are having second thoughts about their unanimous approval for the project. “I did not realize they would produce so little energy. I wouldn’t have voted for it knowing it was that little,” City Councilwoman Sissi Bruch told The Peninsula Daily News. Bruch said the purpose of the “designers was to let people see how wind works.” Asked if the intent of the project was to provide a cost-efficient means of electricity, she said it was not the primary reason.